Where Blocks That Matter was all about drilling blocks to move them around and create a path through each level, Tetrobot and Co. seems to mix things up in all the right ways. Gone are the days of jumping around, drilling blocks to pick them up, and creating a path to the level exit with them; in fact, you won’t even be playing as Tetrobot. Instead, the protagonist is a machine whose sole purpose is to repair broken Tetrobots. You know that old saying, “the more things change, the more they stay the same”? Well, in a way that’s how it is with Tetrobot and Co., compared to Blocks That Matter. While the platforming elements have been replaced with ‘point & click’-ish controls, the block manipulation aspect has been brought back, more or less intact. As long as a block is within Psychobot’s line of sight, it can be picked up and thrown around – no time-consuming drilling required! And just like in Blocks That Matter, each block type has a unique property (ie. wood burns, TNT, well, explodes, and so on), all of which will be used to alter the environment and help you reach the exit. There are also lasers, slime and other hazards to avoid… this repairman repair bot can’t seem to catch a break! 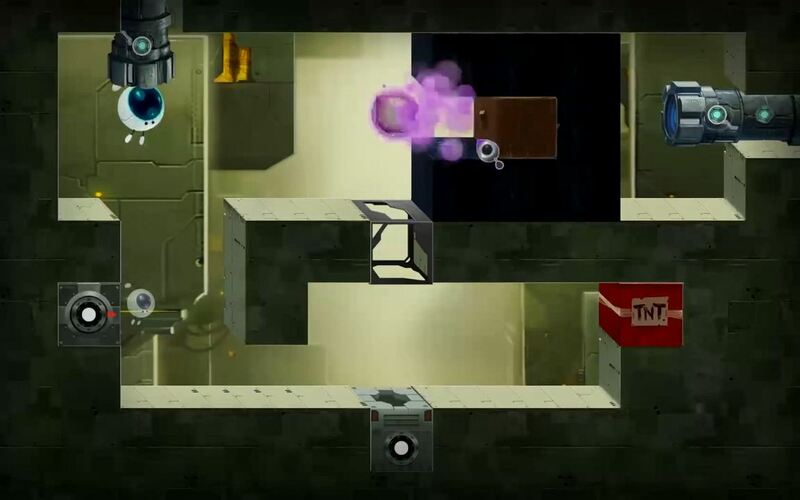 I don’t know about you, but I can’t wait to get my hands on Tetrobot and Co. when it arrives on Steam this summer. Chances are we’ll be treated to more gameplay trailers prior to launch, but for more details right now, I’d recommend the official blog.